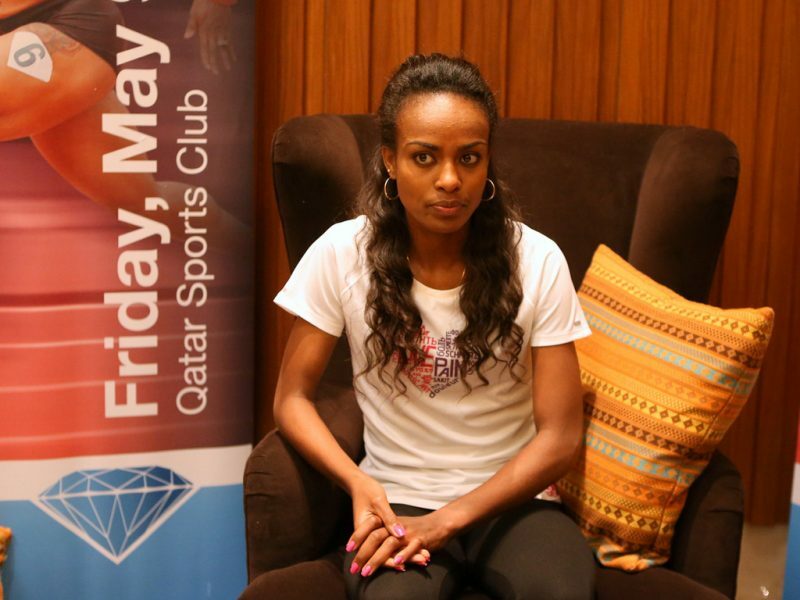 Genzebe Dibaba’s first taste of Doha was in the 1500m race in 2010 at age 19, when she finished a distant seventh with a time of 4:06.10. Last year she improved to an impressive 3:57.54 personal best, but still she had to compromise with third place behind Abeba Aregawi and Kenya’s Faith Kipyegon. So apparently when she saw in Doha a roll up with her figure from the 2013 race depicted, bittersweet memories were brought back to her mind from that defeat but she also felt a sense of inspiration ahead of tomorrow’s race at Qatar Sports Club. "I tried hard last year to win my first race in Doha, but I finished second although with a very fast time. That poster I see now gives me the energy and motivates me to finish first on Friday," said the Ethiopian who who broke the world indoor records over 1,500m and 3,000m in February. "My target tomorrow would be a personal best (her personal bests are already 8:37.00 outdoors and 8:16.60 indoors). It all depends on the pacemaker’s running." Asked about the prospect of breaking the 3000m world record, like she did indoors at the press conference Thursday in Doha, she replied: “I have never seen that race and I am not thinking of breaking that record. It is not an easy task." "I will try to run as fast as possible and even if I become second best in history I will be happy. You know when the season begins nobody can say what is going to happen. I started 2014 brilliantly and I will at least try to continue in the same way." “When I started training, I couldn’t have the same coach my sisters had, because at the time he had already retired. My previous coach was not professional; he was kind of a private trainer. Coming from a family with world class middle and long distance champions, young Dibaba was naturally inspired by her sisters’ – Tirunesh and Ejegayehu - and cousin Derartu Tulu’s heroics. Genzebe Dibaba admitted that she hardly finds time for other non-athletics related activities, but she is having English lessons and she sometimes watches her favourite football club Chelsea FC on TV. 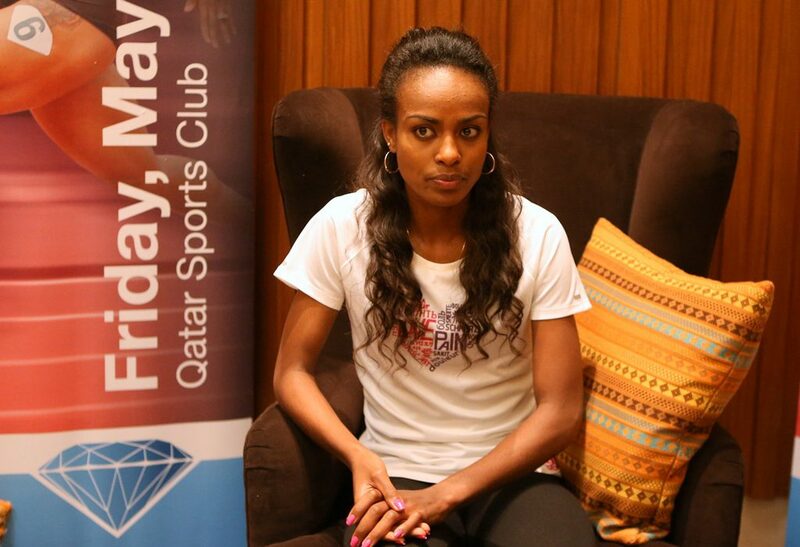 The Blues didn’t win any silverware this season, but Dibaba surely is the woman to beat at the IAAF Diamond Race in the 3000m/5000m, as she revealed that will run only once the 1500m outdoors.